Dental Access Days #7 lived up to its lucky name: we served 133 patients! That’s a record. Care was not rationed and each patient was still brought back as close to full oral health as our pros could bring them. A big reason for the uptick was the commitment our providers made to working full days. It allowed us to fully use the resource provided by the Giving Hand’s Mobile Clinic and Evanston’s Levy Senior Center. This year local dental labs helped extend our service capabilities. Computer Milling and Design, Durable Dental Lab, and Heritage Lab, all sent technicians that helped repair dentures and create flippers. In communities where access to care is poor, many more teeth are lost to decay and disease. You can see that in the numbers below. Filling those empty sockets that show when patients smile is a strongly needed service. staff at the City of Evanston health department for helping recruit and register our patients. And Karen Hawk and the Levy Center crew, they made a great facility an efficient and welcoming platform to do our work on. 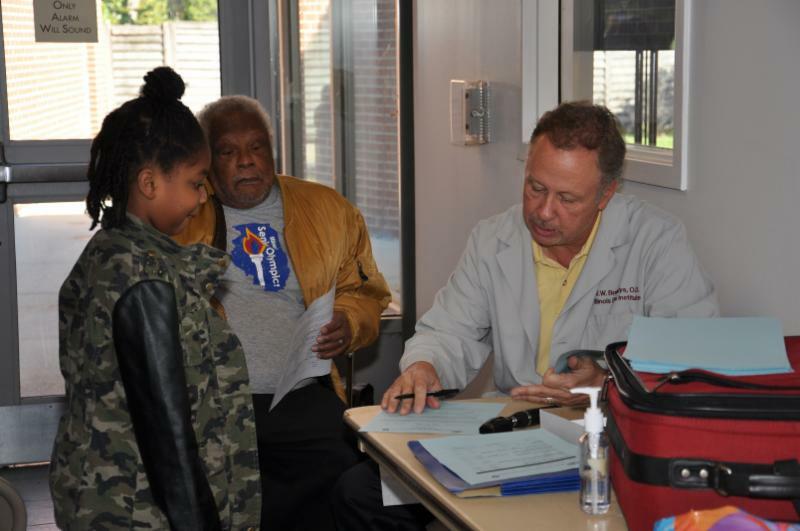 Vince Brandys and a student group from the Illinois Eye Center provided vision screenings again this year. A gentleman with undiagnosed Glaucoma has now been linked to sight saving care because of their efforts. 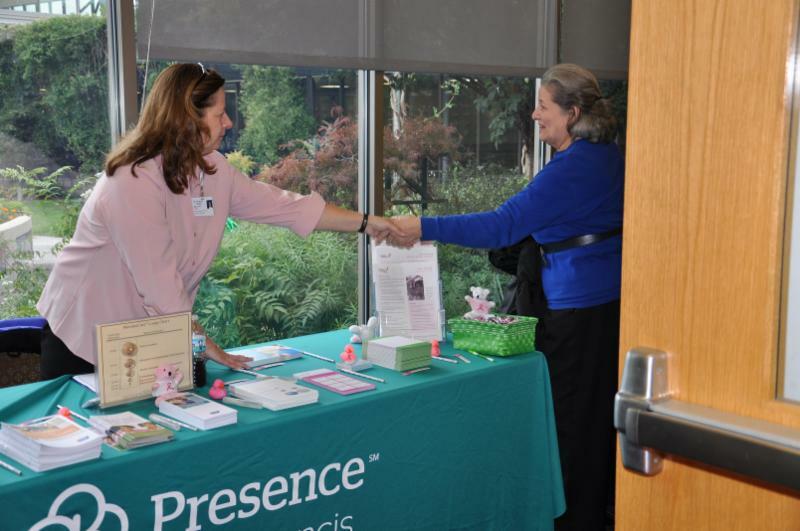 Also new this year were blood diagnostics and registration for women’s health screenings provided by Presence St. Francis Hospital. When issues are discovered the screening programs connect uninsured or underinsured people to funded care programs the hospital manages. What wasn’t new this year was the incredible support of our service providers, faith communities, and civic organizations. They stepped forward to fill both our volunteer rosters and funding needs. It took about 50 of us to organize and work the event. It literally took thousands to create the funding. For details on who helped and donated, please visit our website: dentalaccessdays.org . Their choice, to extend themselves for the health and wellbeing of our community is a hopeful reminder of what’s possible when we are willing to step out of the “economy” for a while. To all of you, thanks for doing so.